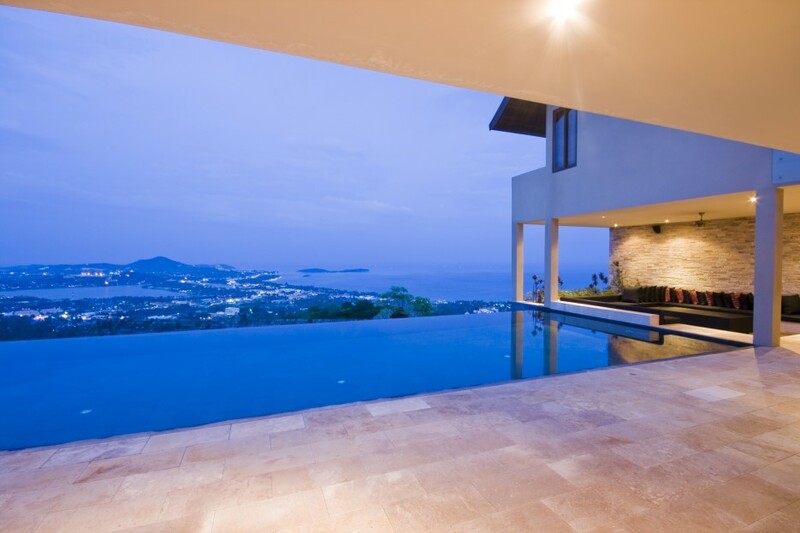 This spectacular development boasts breathtaking panoramic ocean views which cross the totality of the bay. 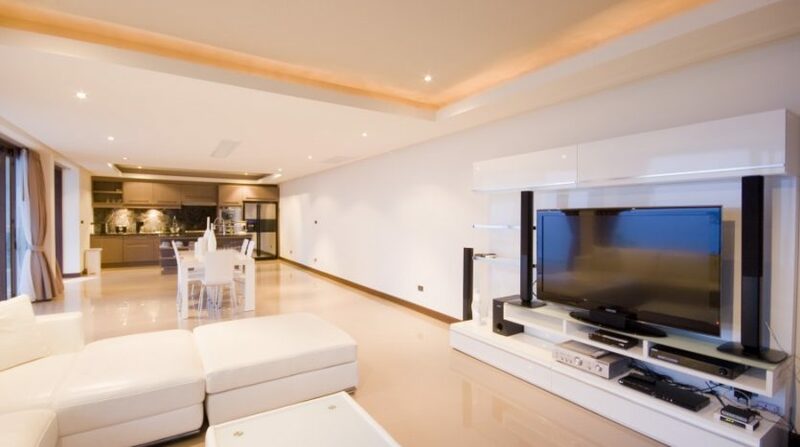 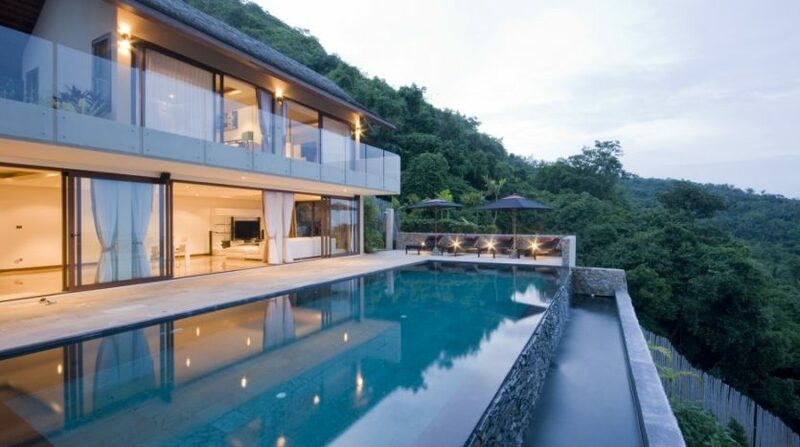 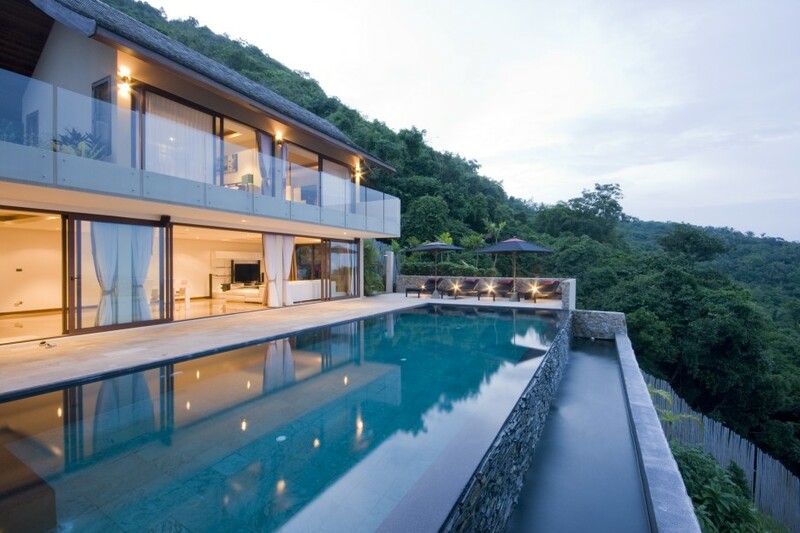 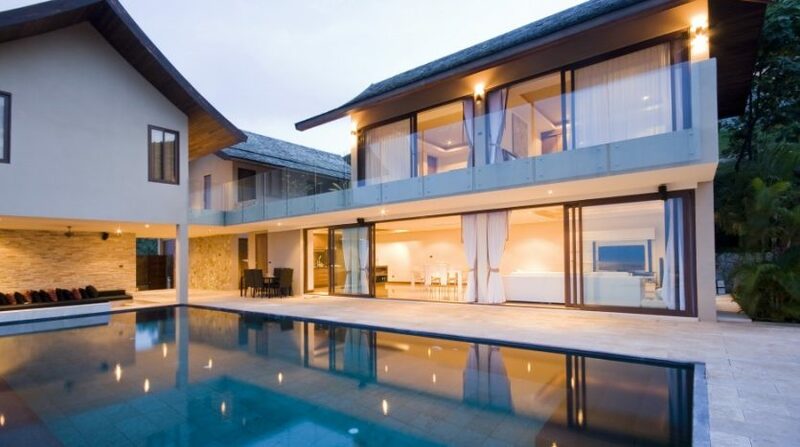 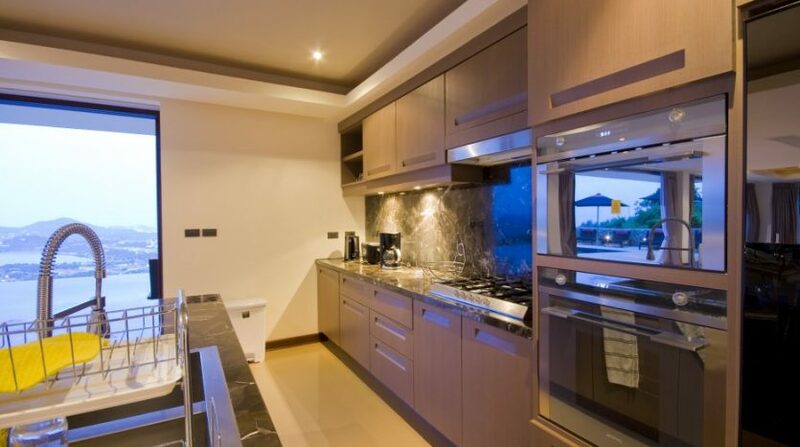 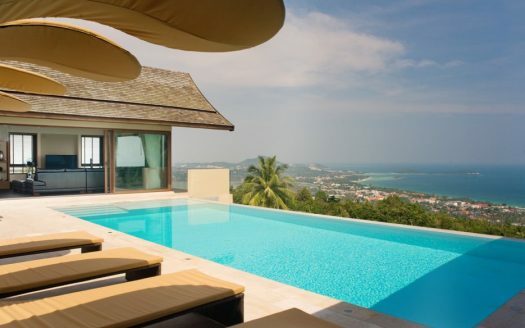 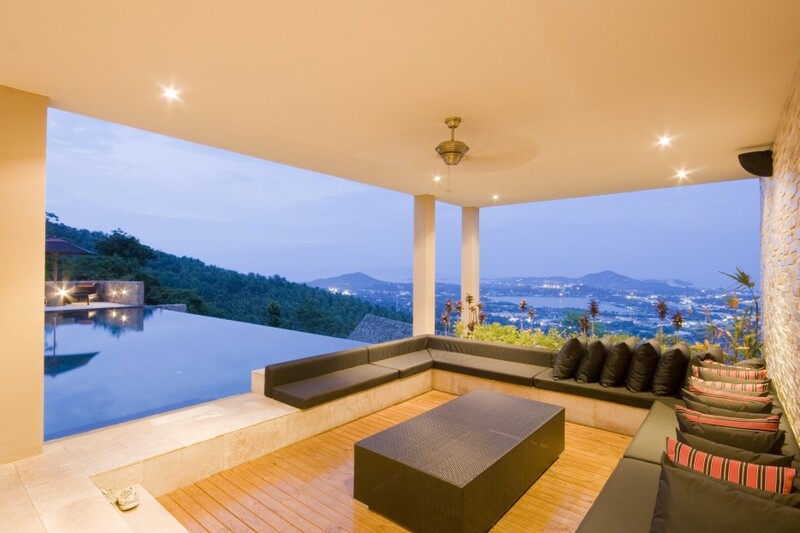 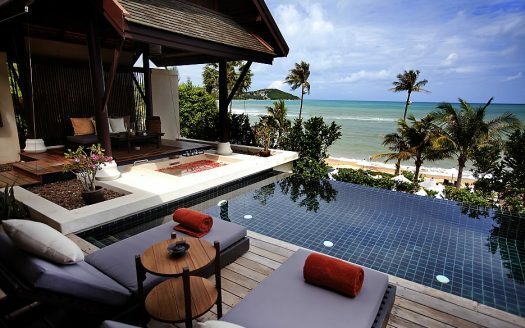 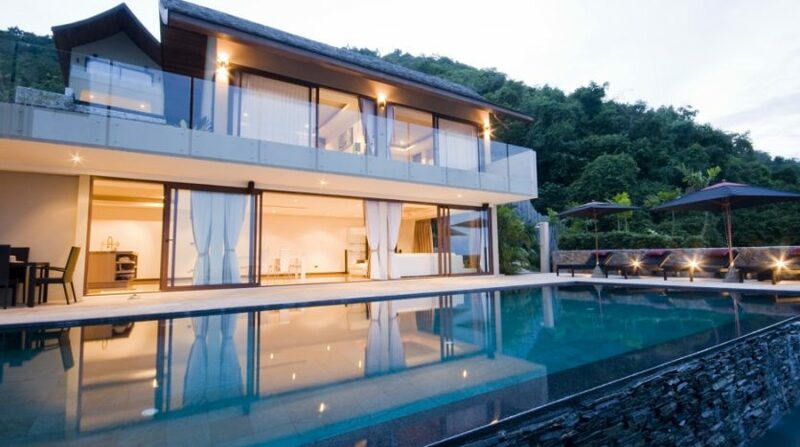 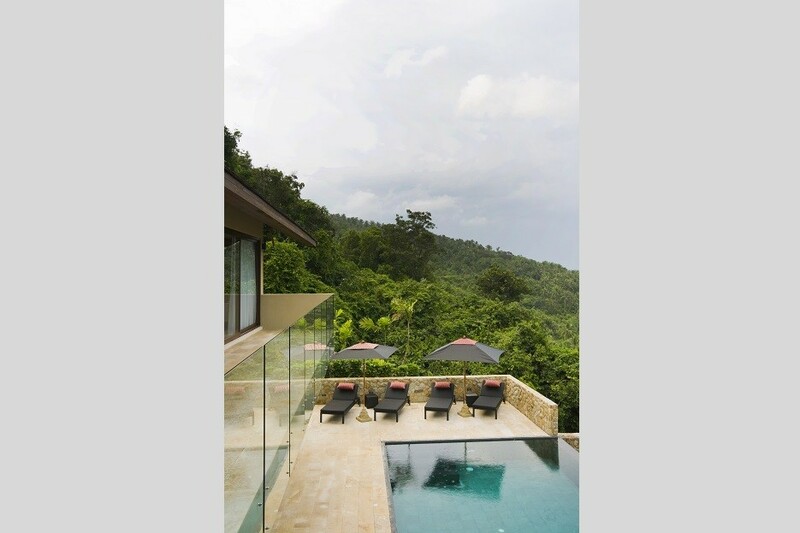 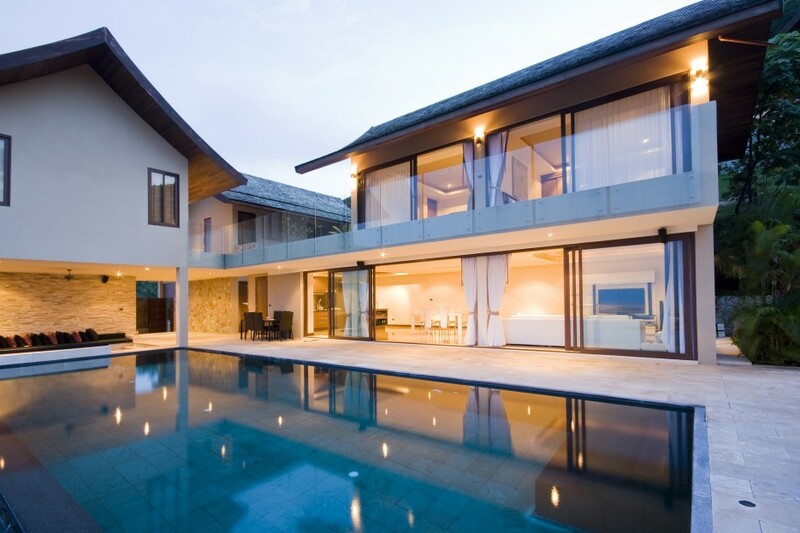 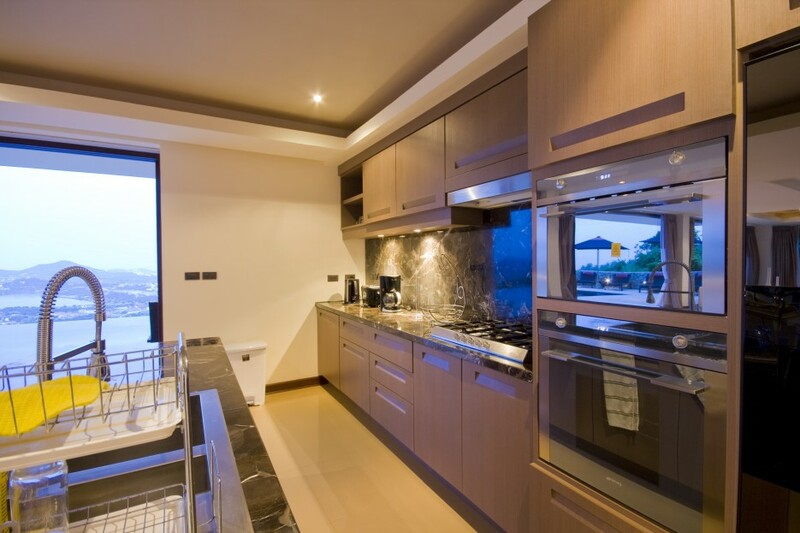 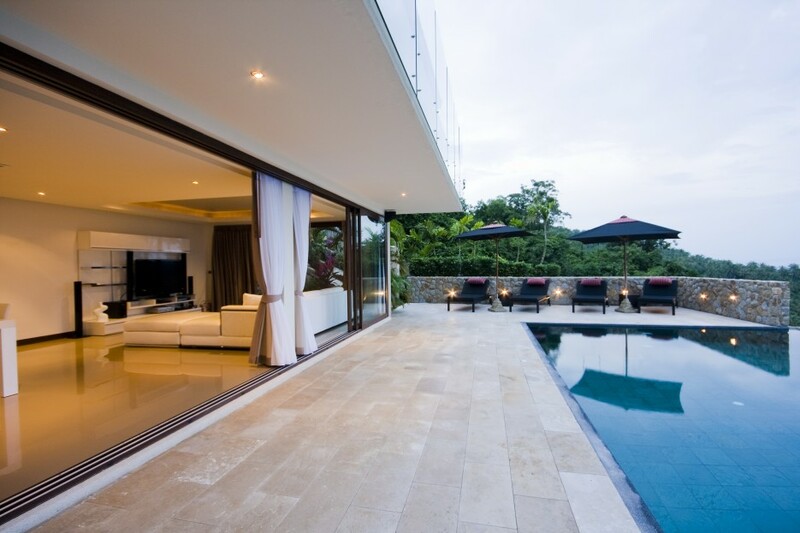 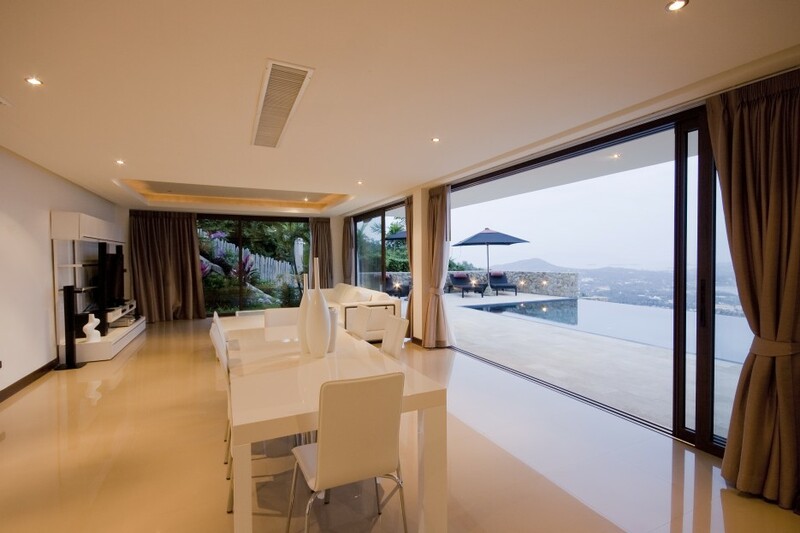 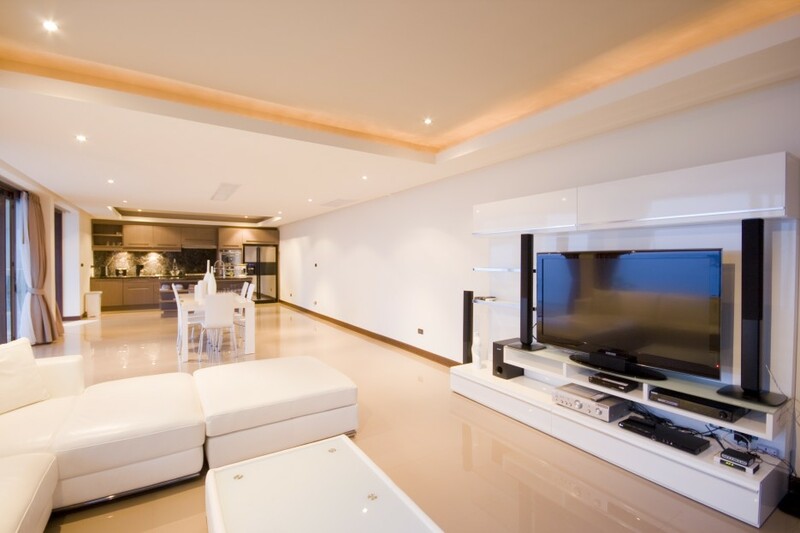 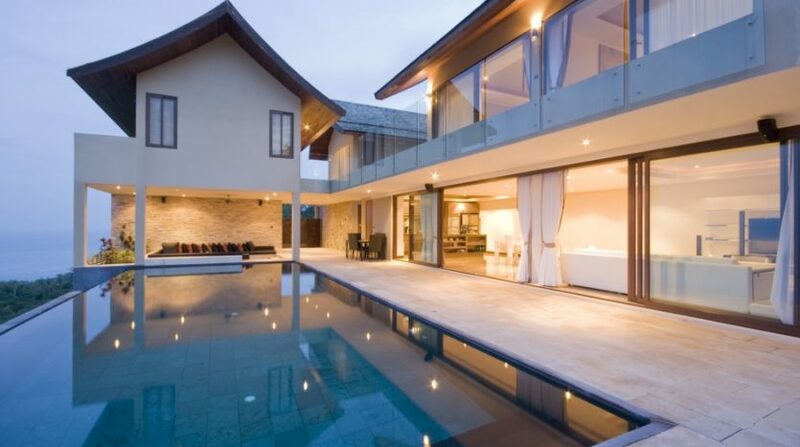 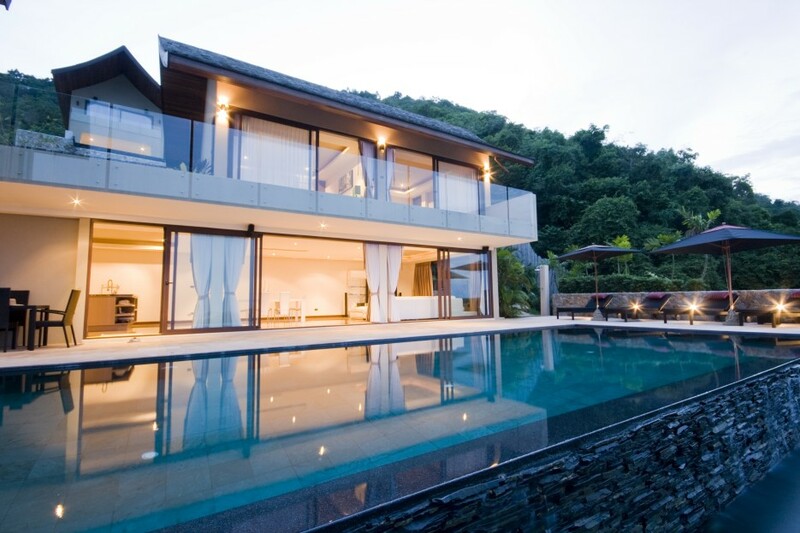 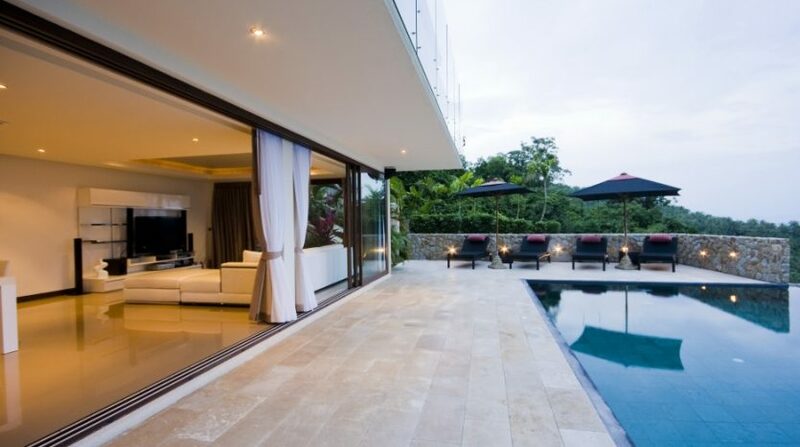 The villa was built to produce the perfect open plan lifestyle while ensuring absolute privacy. 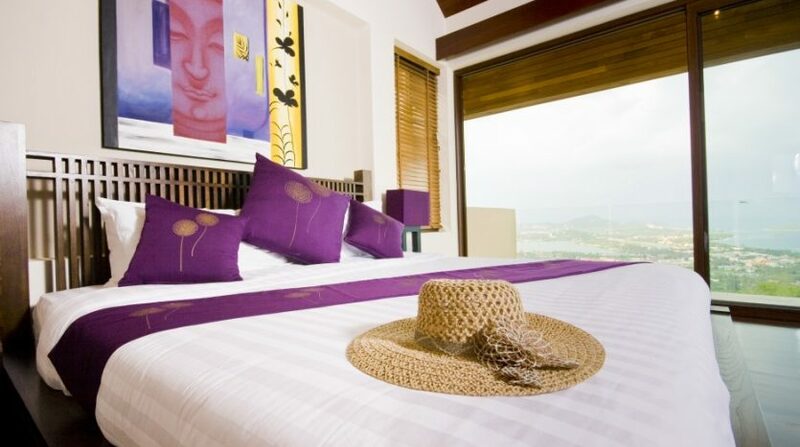 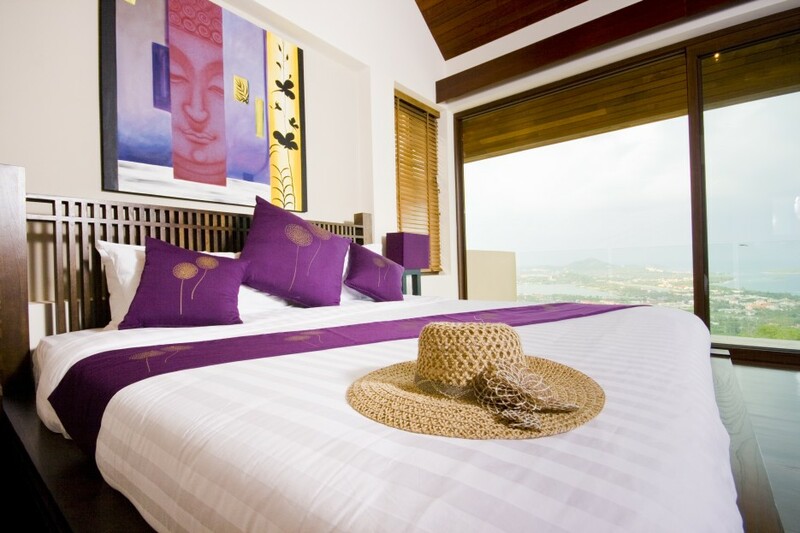 All 4 bedrooms are installed with Television, high-end kingsize beds, AC, safes, mini refrigerators and adorned with elegant Thai decorations and artworks. 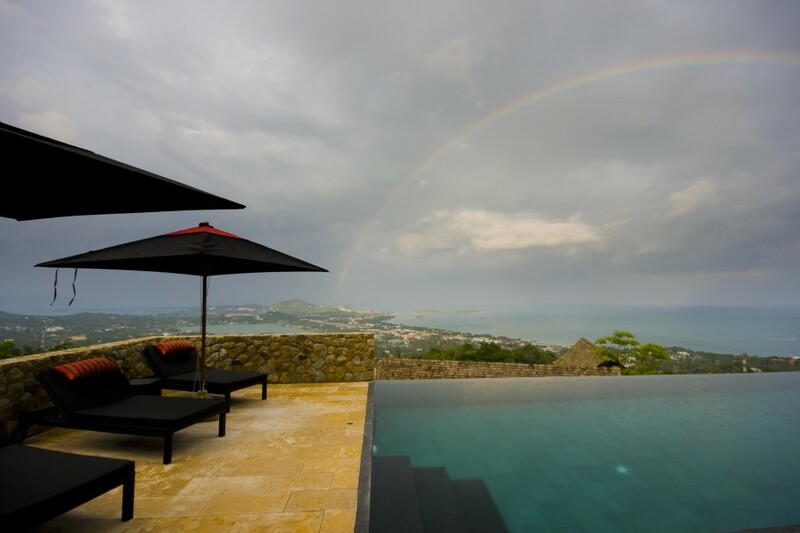 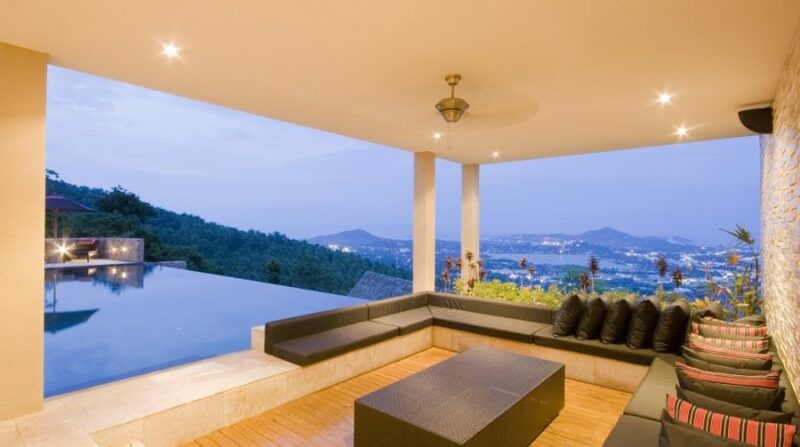 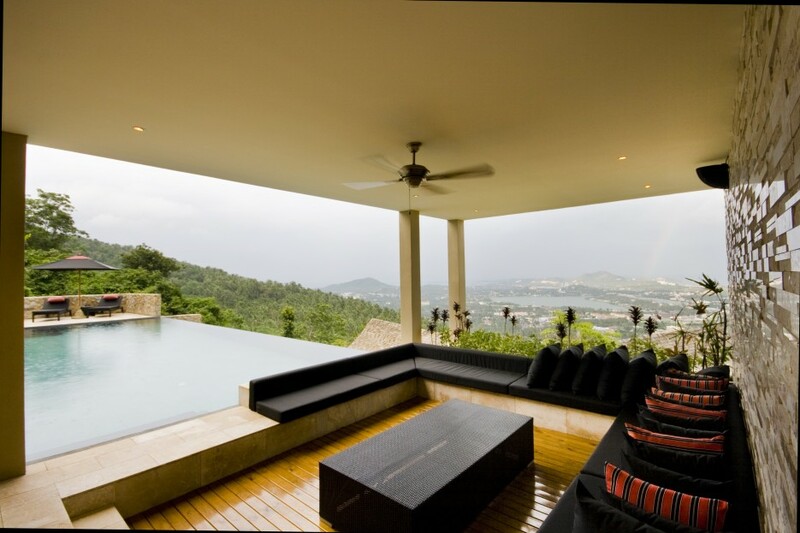 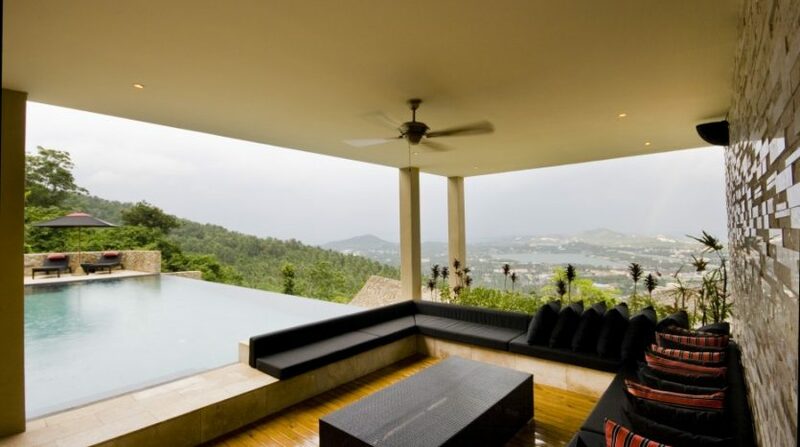 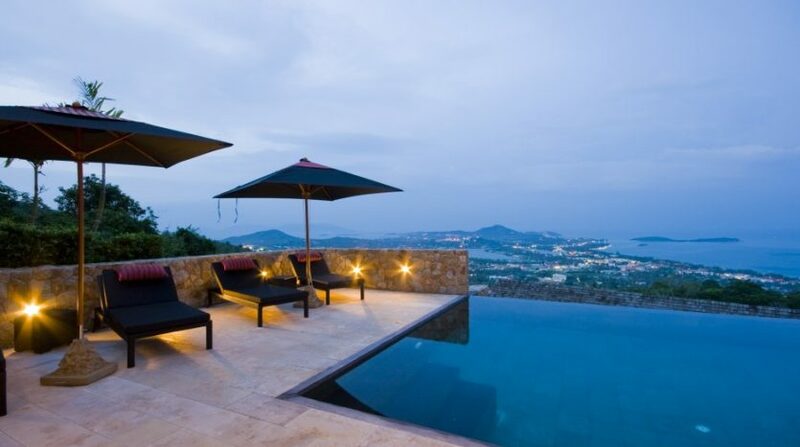 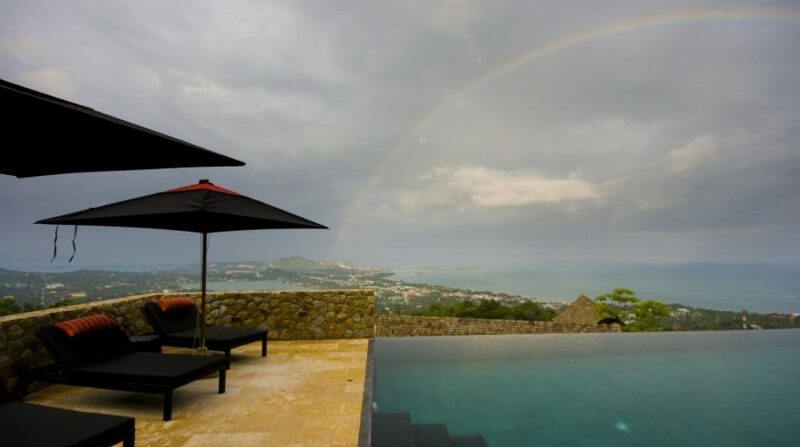 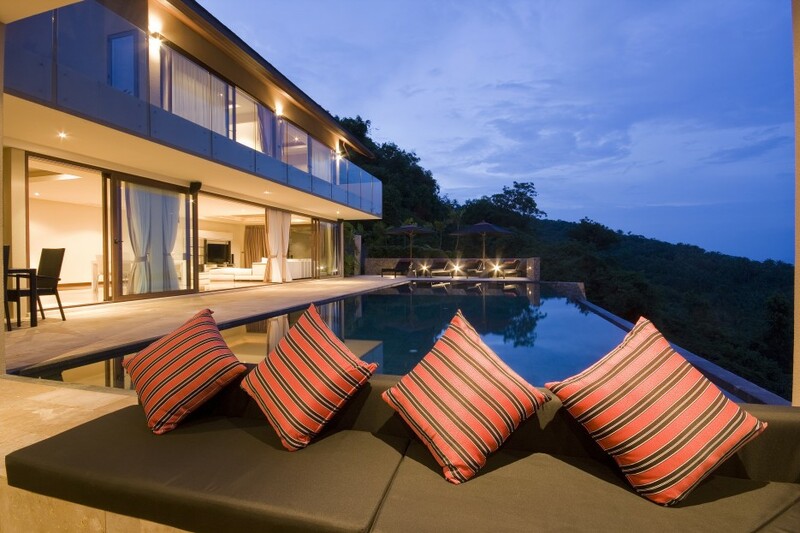 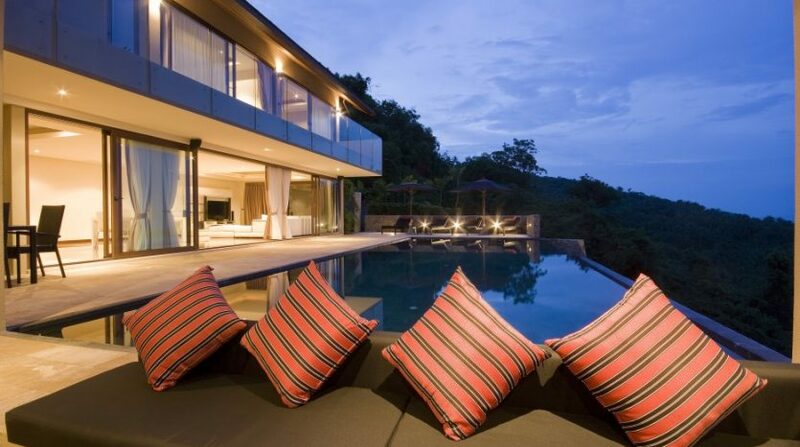 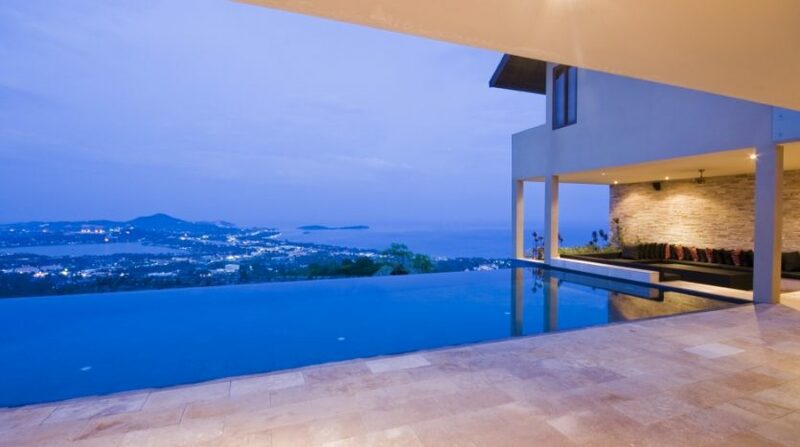 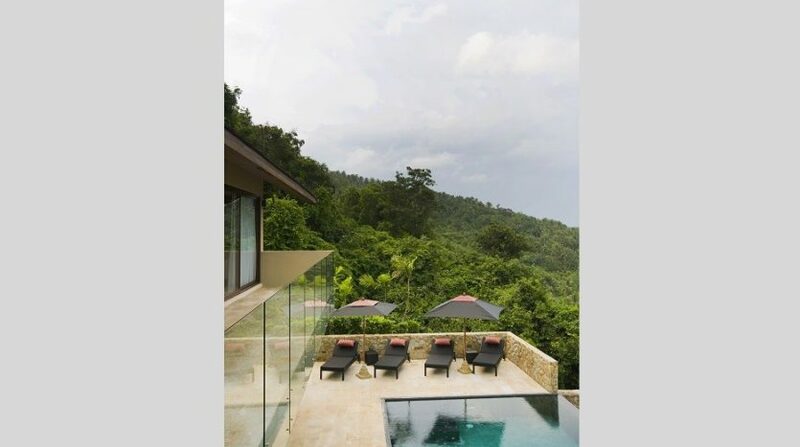 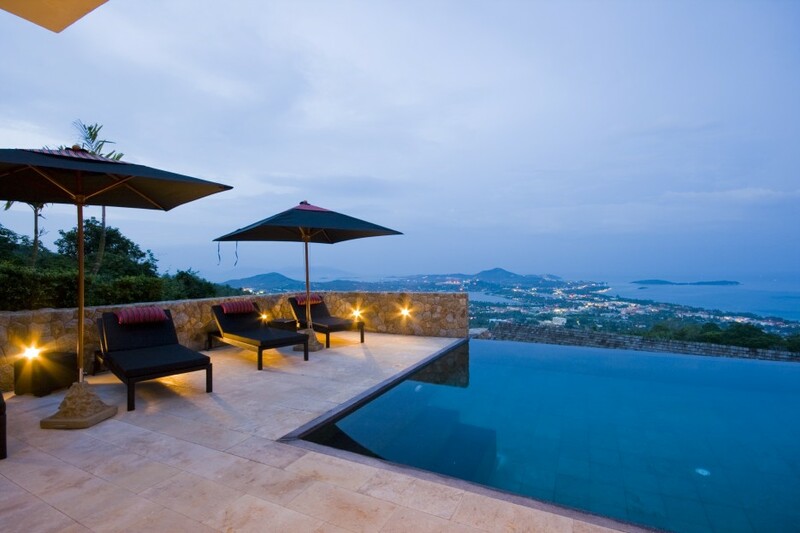 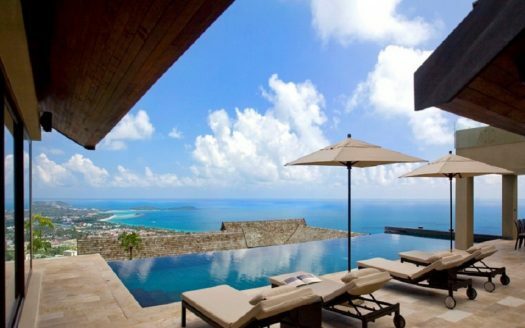 Designed with absolute imagination, this spectacular property provides stunning views of the scenery.